This is the stuff legends are made of! 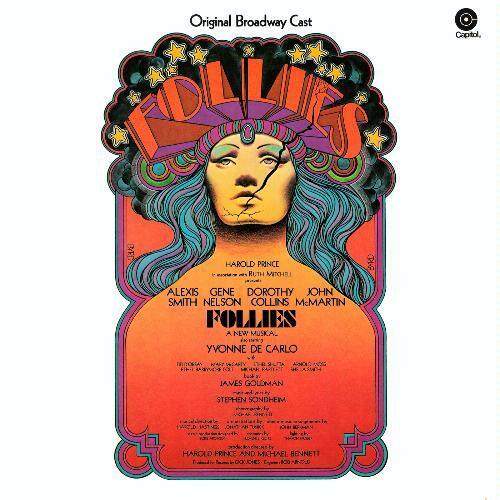 A truly remarkable Stephen Sondheim score, that is at the same time a nostalgic trip down memory lane and a bitter look at its reality. I don’t think there’s any other contemporary musical with so many unforgettable songs (“Beautiful Girls”, “Broadway Baby”, “Who’s That Woman?”, “I’m Still Here” and others) like this masterpiece of musical theatre. 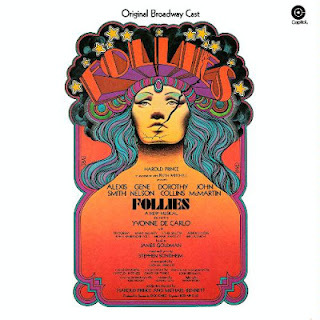 The original Broadway cast is the best recording of this fantastic score, although Paper Mill Playhouse cast recording is more complete (although it doesn’t include a personally favorite of mine, “Make the Most of Your Music”, that was written for the London production), so every musical fan should have both. But if you can only have one, the original is definitely the one that I recommend. I love is theatrical feeling and the cast is great. If dreams are made of this why should anyone want to wake up?